Aloft Hotel adds a dramatic new presence at the epicenter of Hillsborough Street in downtown Raleigh, across from the NC State Belltower. Smith Anderson client Bell View Partners developed the striking new 135 room hotel. 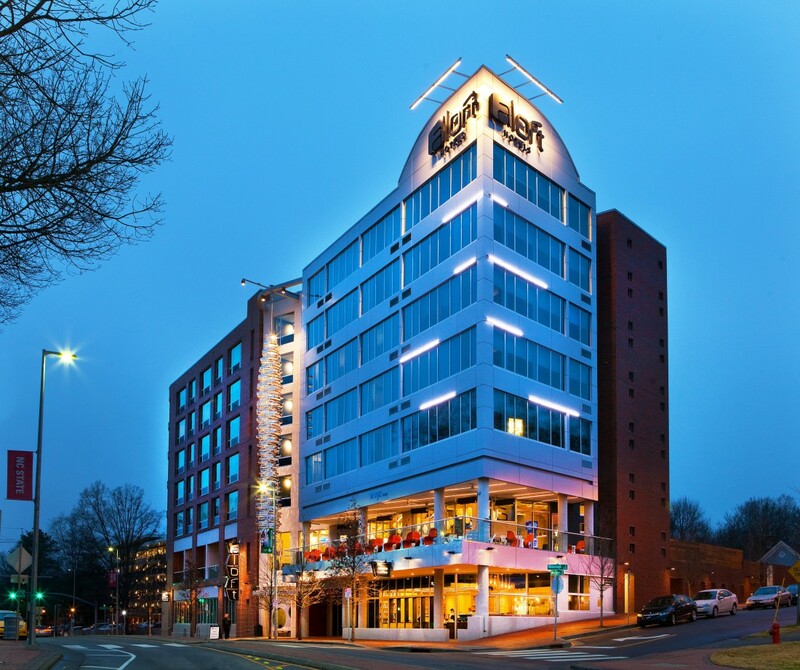 The Aloft Raleigh features artwork by renowned Raleigh sculptor Thomas Sayre, and has street-level retail space occupied by restaurants Gonza Tacos Y Tequila and Jubala Coffee. The hotel is located adjacent to the North Carolina State University campus and is close to RDU Airport and Research Triangle Park. Smith Anderson’s Real Estate Development team, led by partner Wayne Maiorano, advised on the construction of the hotel. For more information about Aloft Raleigh, visit www.aloftraleigh.com.